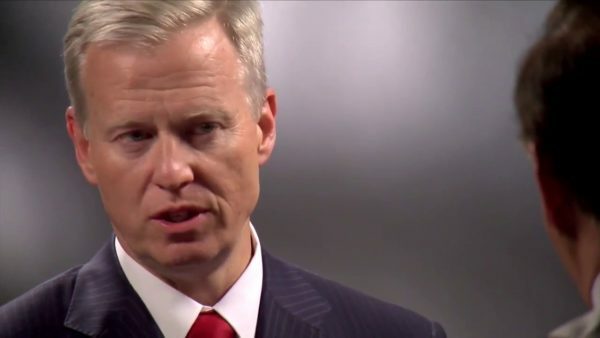 Republican Colorado attorney general candidate George Brauchler (YouTube photo). A story I wrote for Wednesday’s Vail Daily on the open Colorado attorney general’s race in the Nov. 6 general election drew some statewide notice, with the left-leaning website Colorado Pols highlighting the in-depth story on where the two candidates – Republican George Brauchler and Democrat Phil Weiser – stand on gun laws. Pols also has flagged just how much heat Brauchler has taken from Colorado gun-rights groups for his support of a failed red-flag law – a story I covered for the Daily during the legislative debate last spring. Also drawing statewide eyeballs was a blog I wrote for Real Vail earlier this week on the future of journalism in Colorado, particularly as it relates to the hard-hit world of freelancing. Corey Hutchins of the Colorado Independentand Columbia Journalism Review highlighted my post in his weekly newsletter on the Colorado journalism scene. If that’s a topic that even remotely interests you, be sure to subscribe to Hutchins’ newsletter. Both candidates for Colorado attorney general in the Nov. 6 general election say they support a renewed effort to pass a so-called “red-flag” mental health and gun law backed by Vail Valley law enforcement and elected officials last spring but ultimately killed by the state Senate. Republican 18th Judicial District Attorney George Brauchler took a big political risk in his run for state AG by testifying in favor of the bill, which passed successfully out of the Democrat-controlled state House but was spiked in committee by the GOP-controlled Senate. In his time as DA, Brauchler’s district has seen some of the most horrific and high-profile shootings in the history of the state, including the 2012 Aurora theater shooting, the 2013 Arapahoe High School shooting and last year’s New Year’s Eve shooting by a mentally disturbed man of five Douglas County sheriff’s deputies – one of them fatally. The proposed red-flag law would have allowed law enforcement officials and family members to seek a judicial order to temporarily confiscate the weapons of someone deemed an imminent risk to himself or others. It had the tentative support of Eagle County Sheriff James Van Beek and the full support of Vail Police Chief Dwight Henninger, who testified in favor of the bill and referenced a 2009 fatal bar shooting in West Vail that might have been prevented. 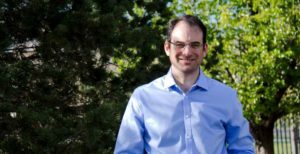 Phil Weiser, the Democratic candidate for Colorado attorney general. Democratic state AG candidate Phil Weiser, a former dean of the University of Colorado Law School and a deputy assistant attorney general in the Obama Administration Justice Department, says Brauchler also needs to support other commonsense gun laws. But in a 2017 Denver Post story surveying the positions of various candidates for governor (before he dropped out to run for AG), Brauchler said he opposed the background check law. He also opposes the 2013 law limiting magazine capacity to 15 rounds. Brauchler says Holmes’s gun actually jammed after 65 trigger pulls and malfunctioned because he didn’t properly clean his weapon after practicing with it several times in the mountains. On background checks, Brauchler says Colorado’s current law would not have prevented any of the tragedies in his district. 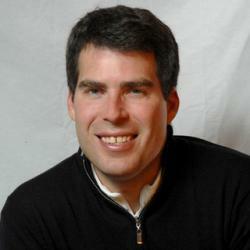 Weiser again disagrees with Brauchler on the efficacy of Colorado’s background check law. He points to the thousands of people denied weapons in Colorado because they failed background checks [reportedly 7,227 in 2017] and hundreds arrested after failing background checks because they had outstanding warrants. On the very timely topic of plastic guns made with 3D printers, Weiser agrees with current Republican Colorado Attorney General Cynthia Coffman, who on Monday joined 18 other states plus the District of Columbia in suing the U.S. State Department to reverse its settlement with a company seeking to publish 3D firearm printing plans online. “I am a strong believer in the constitutional rights protected under the First and Second Amendments. But this proposed settlement would allow unfettered access to firearms blueprints, which could be used to create working, deadly weapons by those who wish to cause great harm, including criminals and terrorists,” AG Coffman said in a press release. Brauchler is concerned as well, but says plastic guns are already illegal and that some plans have already made it onto the internet.